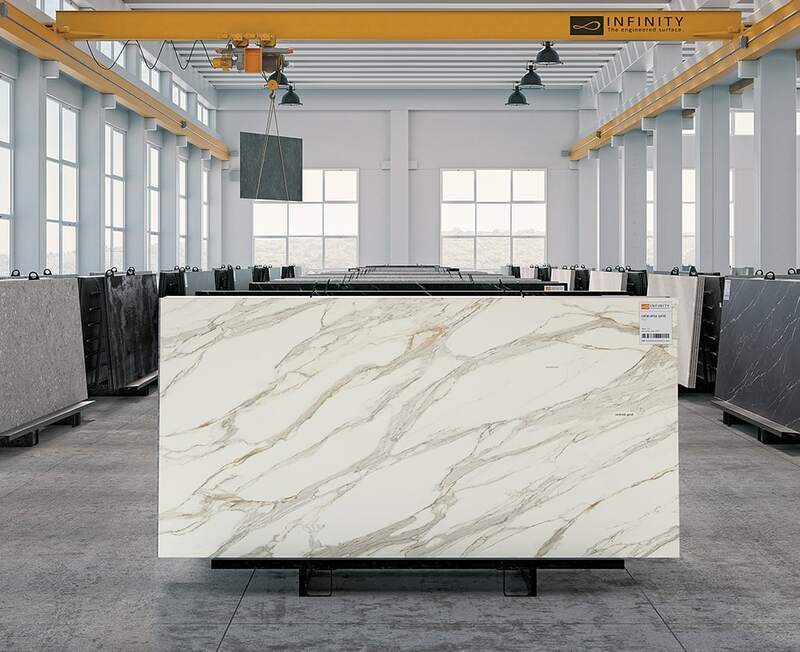 Infinity specialises in the production of large-scale slabs up to a maximum size of 1620×3240 mm (63¾”×127½”), in thickness of 6 mm, 12 mm and 20 mm (¼”, ½”, ¾”). The slabs can be applied to walls, transformed to create decorative furnishing elements or used as external cladding on glued or ventilated façades. All the Infinity products are exclusively made in Italy. 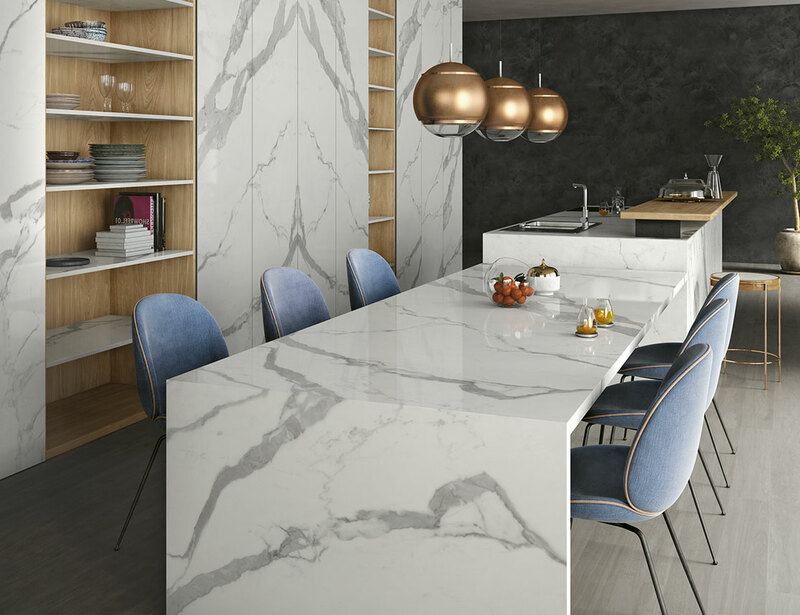 The INFINITY division specialises in supplying planning support to customers and is always available for technical assistance at all stages of work for the creation of finished surfaces and interior design elements. Would you like more information about the company?